do not let them escape! if you cancel the reservation at the last minute, unlike the booking portals, we recognize you for a future stay! Stop the rate and get the ADVANTAGES! Even if you believe that there is a difference between breathing mountain air and capturing the authentic mountain atmosphere, we invite you to come and experience a stay here in Bormio, as a guest at the 4-star Hotel Baita dei Pini. The passion for our renowned cuisine that has led us also to feature on the well-known programme “4 Ristoranti”, broadcast on Sky, but there are so many reasons why you could choose us to spend your next holiday in Valtellina. You don’t have to decide before your arrival whether you prefer a B&B or a half-board solution. Our advice is to book your room and breakfast and you will be able to decide every day, when and how you wish, if you stay in the hotel also for lunch or dinner, with the à la carte menu of our restaurant. You will have surely seen us on the episode of the “4 Ristoranti” programme broadcast on Sky dedicated to the Valtellina area Alessandro Borghese! If you browse through our reviews, you will see that breakfast is the absolute protagonist. We do our very best to make sure that every day of your holiday starts in the best possible way … and ends even better! 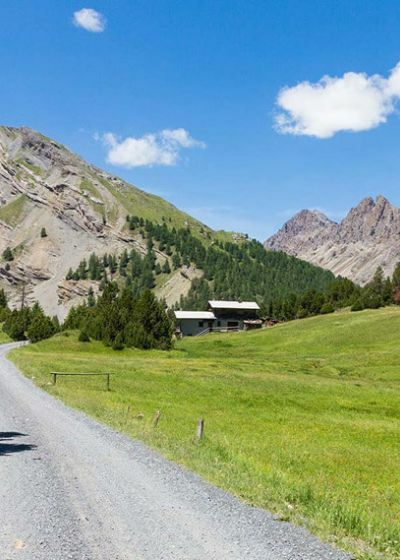 If you are a cycling enthusiast, you will certainly know of the Italy Bike Hotel circuit, to which we belong. 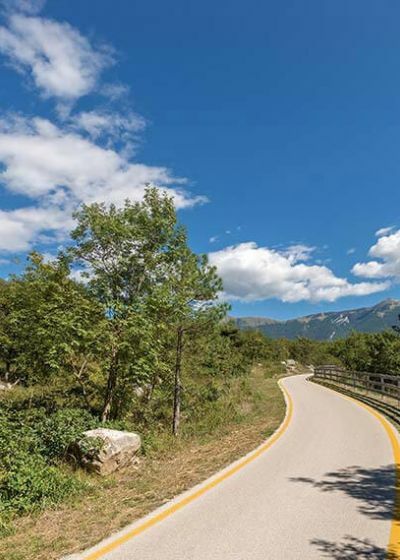 For your mountain or road bike holiday, here you have the guarantee of experience and ad hoc services, such as the bike room with video surveillance, the garage for minor repairs, concessional mtb road bike hire and much more besides. Standard, Suite or Family Rooms: the freedom of choice is the freedom to live. Those who love the mountains… respect them! We love these mountains very much and the marvellous nature that gives it its colours. For this very reason, we have willingly equipped ourselves with a column to recharge electric cars. If you love the environment too and you wish to travel while having a low impact on the environment, come and visit us! In summer, from 12 p.m. to 12 a.m. non-stop, flowers, candles, great music and wonderful people can all be found in the Garden, a pleasurable location situated in the centre of Bormio, where you can have lunch, dinner or drink an aperitif outdoors. This policy involves only the website of www.baitadeipini.com and not other websites the user may consult by clicking on links. The policy is also based on Recommendation n. 2/2001 implemented on May 17th 2001 by European authorities for the protection of personal data, reunited in the Group instituted by art. 29 of Directive n. 95/46/EC, for the purpose of identifying a series of minimum requirements for the online collection of personal data and, in particular, the methods, time frames and nature of information the owners of the treatment must provide users who connect to websites, regardless of the purposes of the connection, as well as on further updates following the implementation of the GDPR and the delegation decree connected to the GDPR. The personal data indicated in this page are treated by PIZ UMBRAIL s.r.l. , for the purpose of performing its activities. The juridical foundations for treatment on the website are consent, execution of a contract and pursuit of a legal obligation. The optional, explicit and voluntary sending of messages to the contact address of PIZ UMBRAIL s.r.l. , as well as the compilation and forwarding of modules on the website www.baitadeipini.com, involve the acquisition of the sender’s contact data, necessary for sending a response, and of all the personal data included in these communications. Specific information notes will be published on the website www.baitadeipini.com for the supply of certain services. The optional, explicit and voluntary sending of data inserted in the data collection modules (forms), or in e-mails to the electronic mail addresses supplied on this website entails the acquisition of the sender’s address, necessary to respond to requests, as well as of eventual further personal data contained in the messages sent. We specify that personal and/or corporate data inserted in the forms on the website www.baitadeipini.com is protected by PIZ UMBRAIL s.r.l. and used only to answer user queries and to provide requested information and services. With the exception of the information listed above concerning data treatment, the user is free to provide PIZ UMBRAIL s.r.l. with personal data via the info request modules. In any case, whenever such data is requested, a specific disclosure note will be supplied and, if necessary, the user’s consent will asked to indicate his/her consent. The recipients of the data collected due to consultation of the site listed above are subjects designated by PIZ UMBRAIL s.r.l. as subjects responsible for the treatment, pursuant to article 28 of the Regulation. The personal data collected is furthermore treated by staff of PIZ UMBRAIL s.r.l. on the basis of specific instructions related to purposes and methods of the treatment in question. PIZ UMBRAIL s.r.l., with legal and operational headquarters in Via Don Peccedi, 15 - 23032 Bormio SO, VAT code: 00614930147 in its quality of Owner of the treatment of your personal data, pursuant to EU Reg. 2016/679 - hereunder indicated as the 'GDPR' - intends to inform you with this note that the aforementioned legislation regulates the protection of subjects whose personal data is processed and that this treatment will be based on principles of correctness, lawfulness, transparency and protection of your privacy and rights. Owner of the Treatment: the Owner of the data treatment, pursuant to legislation, is PIZ UMBRAIL s.r.l., with legal and operational headquarters in Via Don Peccedi, 15 - 23032 Bormio SO, VAT code: 00614930147 in the person of its pro tempore legal representative. Corporation Stock: € 90.000,00 i.v. Would you like to read our newsletters?
" This was the third time we stayed at this hotel, and this time we brought friends. We were two families and each family needed interconnecting rooms for itself so the children could sleep in the same area but not have a door to the corridor.... and the hotel has a number of rooms that offer this. Breakfast was great with very friendly service and a wide selection. The hotel and our individual rooms were always really clean. The team on reception were welcoming and helpful. Location is ideal - midway between town and the slopes with gorgeous views of the mountains. Really recommend this hotel ! "